Another fine release from Wakefield's Philophobia Music. This time it's the turn of electronic-indie types St Gregory Orange. Midnight at the Sycamore Lounge follows on from 2009s debut album, Things We Said in Bedrooms and is another meticulously constructed late-night record. The duo, Tim Metcalf and Harry Rhodes, have often drawn comparisons to Arab Strap and it's not hard to see why. There's a broken, melancholic beauty to their music; the sound of wheezing electronics, bedsits littered with photographs and heavy-hearts combined with thoughtful observations and booze-fuelled confessions. Midnight at the Sycamore Lounge is a deeply atmospheric listen, opening track 'Chalklines' bringing to mind late-night streets heavy with rain and regret as they sing about "drinking in the afternoon" and "third rate death-metal lyrics". As their sampled beats and fuzzy electronics envelope your speakers, they bring to mind everything from Casiotone for the Painfully Alone to the more pop indebted leanings of The Postal Service. You wouldn't hear Ben Gibbard singing these kind of lyrics though. The tales of late nights, fragmented memories and alcoholic stupors definitely bring Aiden Moffat to mind yet are never quite as dark as Arab Strap's early output (Monday at the Hug & Pint and, naturally, Philophobia). In fact, unlike Arab Strap's sparse-sounding early recordings, St Gregory Orange create a wall-of-sound with electronics, acoustics and duel vocals. When I say 'wall-of-sound', don't go expecting a Ronettes/Phil Spector kind of effect; St Gregory Orange trade in a far more disjointed and damaged sound. Just listen to the passages of noise on the seven-minute, 'Blotter (Swallowing Keys)'. It's impressively accomplished stuff while still retaining an undeniably lo-fi charm. Some of the tracks actually bring 'My Legendary Girlfriend' era Pulp to mind: Just listen to the dark confessionals on 'Obituaries, Northeastern', a story many of us can probably relate to in some way, even if it makes us cringe. One of the albums standout tracks, 'My Exile Years' contains some particularly brilliant wordplay as they sing, "My memories like a greatest hits compilation/ The sequence never works quite right". The album itself is definitely something to listen to in sequence with each track flowing into the next, the overall effect being a voyeuristic peek through the bands off-white net curtains. Highlights are frequent but just listen to the thoughtful ruminations on the sprawling, darkly melancholic 'Twenty Three' for proof of the bands abilities. It's a stunning composition by anyone's standards. 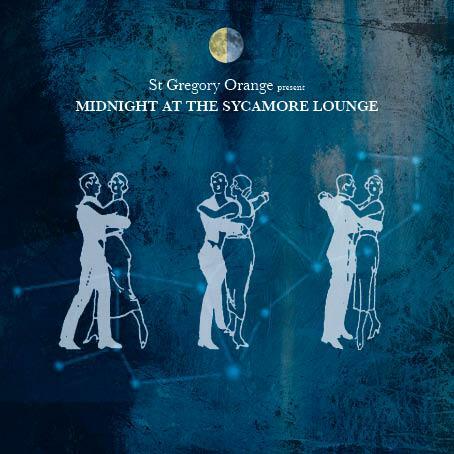 Midnight at the Sycamore Lounge is a complicated and many layered album and one that requires a certain amount of concentration from the listener. It's an intelligent, charismatic record which feels like the actual definition of a hidden gem. The album veers between fucked-up and genuinely beautiful; it's an honest sounding record that isn't ashamed to reveal its influences. Not many people will hear this album but those that do will find something very special indeed.